Netanyahu orders the transfer of a 250 million shekel advance to the PA from tax revenues collected by Israel. Due to the Palestinian Authority's financial crisis, Prime Minister Binyamin Netanyahu ordered on Tuesday the transfer of a 250 million shekel advance to the PA from tax revenues collected by Israel. A statement from Netanyahu’s office said he consulted on the issue with Finance Minister Yuval Steinitz. The directive was communicated via Netaynahu’s special envoy, Attorney Yitzchak Molho, who coordinated with PA leadership. The aid to the PA comes amid fears by Israeli military and government leaders that the social protests in the PA will lead to anarchy. 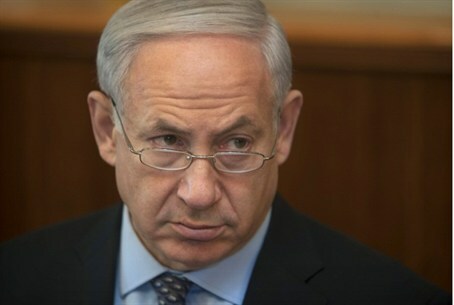 Reports on Tuesday said that senior security officials urgently told Netanyahu that funds should be transferred immediately to PA Prime Minister Salam Fayyad to prevent a collapse of the government. Violent protests have spread throughout Arab areas in Judea and Samaria, and demonstrators have demanded Fayyad’s resignation. PA Prime Minister Salam Fayyad announced last Thursday he is willing to resign if that is the “will of the people,” but, as usual, blamed Israel for the Palestinian Authority's financial troubles. Western mainstream media have long touted Fayyad as an economic wonder worker, but that has not panned out for the man in the street and the PA is bankrupt, owes the Israel Electric Company 700 million shekels.